No matter how successful your brand’s marketing is, poor cybersecurity can result in data breaches that have the potential to cause irreversible damage to your reputation. Customers are more likely to stay loyal to brands with which they feel safe doing business, and any data breach can break that trust. About 64% of marketers believe that word-of-mouth is the most effective form of advertising, and word will most certainly get around if your brand’s poor internet security systems have put customers’ personal information at risk. So, it is as important to protect your company from cyberattacks as it is to have a marketing plan in place in the unfortunate event that a data breach occurs. If your company and its customers become victims of a cyberattack or a data breach, there is the likelihood that the cybercriminals will milk their gains for all they are worth, and your attackers are usually smart enough to know exactly when to exploit that information. The damages can continue to accumulate for years after the fact, costing your company significantly. Five years after Sony’s data breach, people are still talking about the unfortunate event. The data stolen from Sony’s servers included login details and banking information from both customers and employees. The breach initially cost Sony $15 million to clean up the mess but, by the end of the year, the company’s executives estimated that figure would be closer to $35 million. On top of this, Sony may have had to rebuild its IT systems – a process that could cost over $83 million. These are just the tangible financial figures, and the company is likely to have lost much more money as skeptical customers decided to take their business elsewhere or hold back on their use of services. 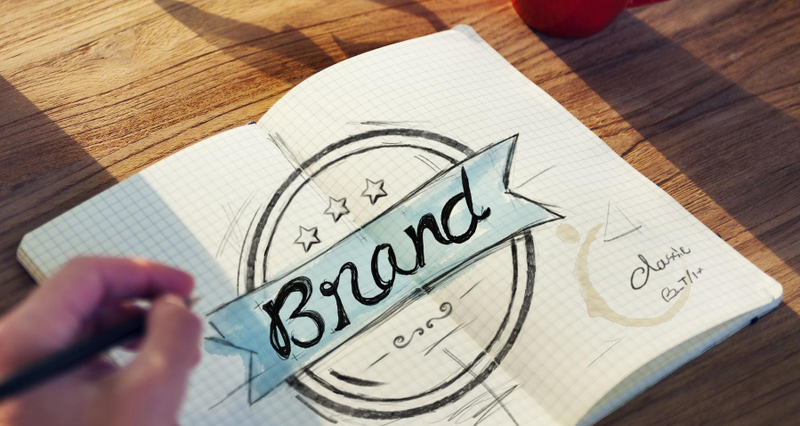 Reputation is a difficult metric to measure, but brands cannot ignore the many ways in which a tarnished name can result in lost business. Not only do brands lose existing customers, but they also face difficulties acquiring new ones. A study shows the majority of consumers are unlikely to do business with a company that had faced a data breach, so your brand can face significant financial turmoil due to lost customers. Furthermore, investors and other companies may back out of doing business with a brand that has been the victim of a cyberattack. Earlier this year, Verizon agreed to acquire Yahoo for $4.8 billion in cash. After Yahoo’s email servers were attacked in September (during which 500 million user details were stolen), Verizon put the deal on hold and is currently reassessing the situation. In addition to preventing financial losses and harm to your brand’s reputation, employing good cybersecurity practices can help to increase your sales in the long term. Because of data breaches, 34 percent of consumers are hesitant about buying products online. By demonstrating that your site is safe and secure, you can look forward to better conversion rates among your target customers. When you have an SSL (Secure Socket Layer) installed on your website, customers can tell right away that all of the data they use to communicate with your servers are encrypted. They know because your URL says ‘https’ instead of ‘http’ and a small padlock appears in the address bar. Almost a third of internet users look for signs of an SSL on the websites they visit, and “https” is now a ranking signal in Google’s search algorithm. Customers also look for trust seals that show customers your brand prioritizes online security. Brands have found that the inclusion of a trust seal can improve conversions up to 42 percent. Using social media and email marketing, you can let potential and existing customers know about your improved security measures and the steps that your brand is taking to optimize your online security. Consumers respond positively to brands that practice good cybersecurity, and it is important to let them know how your company is working hard to protect them. Cybercriminals can obtain unauthorized access to your servers in a wide variety of ways. It is important to know all about the different security issues that can put your company at risk of a cyberattack so you can protect your brand against them. A Distributed Denial of Service (DDoS) attack occurs when hackers attempt to make an online service unavailable by overwhelming it with traffic from thousands of different sources. While this does not offer hackers access to your servers, it impacts your accessibility and visibility. Employee errors are the main cause of data breaches in the United States. If an employee leaves their computer unlocked or does not use secure enough passwords (among other things), hackers can find a relatively easy way to gain access to your servers. Business owners should prioritize online safety training for their staff and ensure that it is part of the orientation process. The training should aim to encourage employees to use systems that will prevent your company from becoming vulnerable to cyberattacks. If your site becomes infected by Malware, hackers can gain access to your customers’ personal information. Eddie Bauer is one of the latest brands involved in a malware attack, during which customers’ credit card details were hacked. Many cybercriminals rely on phishing to obtain sensitive data from a brand’s customers. They may hack your site or send out emails to your customers to gain access to their logins, personal information and banking details. If your website employs weak security measures, it becomes a prime target for hackers who can easily phish for data and infect your site with malware. Keep all of the computers in your company’s network protected at all times using antivirus and antimalware software. There is a wide range of antivirus and antimalware programs, and it is important to do your research to determine which software best suits the needs of your team. It is important to ensure that people who access your site and servers utilize strict password security measures. Passwords should include a mix of capital letters, lowercase letters, symbols and numbers. When uploading any content to your website, ensure that all your employees use a Virtual Private Network (VPN). This tool, once you select the best one out of your options, connects them to the internet remotely, encrypts all information that they send and protects their details from being accessed by unauthorized third parties. To identify any weaknesses that could give cybercriminals access to sensitive information, perform a risk assessment on all the computers in your office and the networks that connect them. You can also enlist an IT security firm to conduct a risk assessment on your behalf. Working with professionals can help you ensure that you don’t miss any potential weaknesses. Many big brands use online messengers to communicate among their various staff, and it is important to choose one that is encrypted. There are several great secure messaging apps like WhatsApp and Telegram. Dispose of any customer information that isn’t crucial to your current business. If you think you might need it in the future, use an offline method of storage. In the event of a cyberattack, fewer customers will be at risk. It is important for companies to ensure that all members of staff have been trained on proper security practices, and to provide yearly refresher courses. Should your company ever fall victim to a cyberattack, it is important to have a plan already in place. This will act as damage control to help your brand recover from the financial and reputation fallout. Your marketing department should have an action plan in place. Your press officer should draft content for press releases, social media posts and email newsletters so that you can act quickly in the event of a data breach. This lets consumers know that you’re on top of the situation and your team is working hard to keep customer data safe. These communications should also include information on how your company plans to rectify the problem, security measures you will enact in the future and compensation for customers who have been affected. Home Depot offers a great example of how a company should communicate with customers in the event of a cyberattack. After hackers had stolen credit card information from the company, the communications team notified customers right away and offered free identity protection services to affected parties. With proactive communication via Twitter, Facebook and email, Home Depot took the correct measures which were an important step in helping to protect the brand’s reputation. While it is inevitable that you will lose some customers, clients and leads because of a data breach, your marketing department can help to mitigate the damage to your finances and your brand’s reputation. When your marketing team successfully executes a thorough action plan, you have the chance to retain some of the customers who would otherwise abandon your brand. If your online security measures are not up to scratch, your brand’s reputation could suffer and render your existing marketing campaigns useless. Since trust is one of the most important factors informing consumers purchasing habits, it is crucial to employ strict cyber security measures to not only protect your profits but also the way in which your consumers view your brand. What steps does your brand take to keep your customers safe and secure? Do you believe they have a positive effect on your reputation? Leave a comment and let us know. Author Cassie PhillipsPosted on February 16, 2017 2 Comments on Can Your Poor Internet Security Hurt Your Marketing Efforts? Hello, Cassie. Worth to read the article. Really enjoyed while reading. VPN is a nice choice for keeping resources secure. You can also add two-factor or multifactor authentication to the list. It saves spammy authentication. What are your views on this? Yes, you are right Virtual Private Network or VPN can encrypt all your data. Also EV SSL on website can be used to protect user data.